When rogue LAPD detective Erin Bell (Nicole Kidman) starts investigating the reemergence of Silas (Toby Kebbell), the leader of a brutal California gang, she is forced to finally confront the past trauma of a sting operation gone wrong that involved her former partner Chris (Sebastian Stan). Director Karyn Kusama manages to bring a strong enough sense of style to some of the set-pieces here, including a pair of well staged bank robberies, but for the most part, Destroyer is a pretty standard and somewhat bland crooked cop drama that takes a while to get where we pretty much already know it will end up. 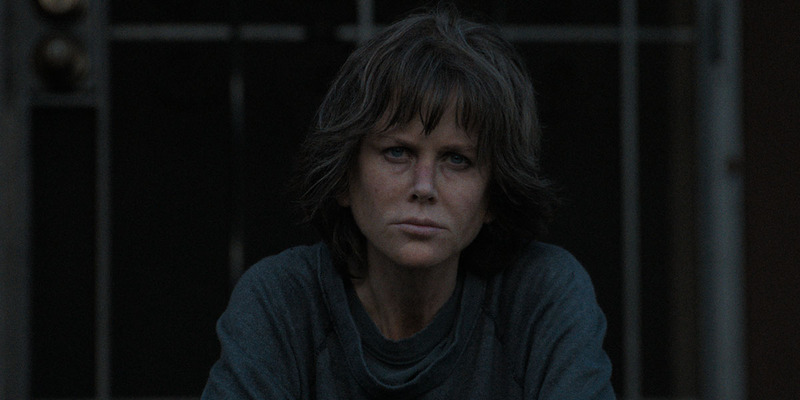 The film is anchored by a fine if somewhat overhyped performance from Nicole Kidman, who appears buried under prosthetics to make her face look haggard and worn.